Make this your lucky day at Uptown Aces Casino with a 300% Bitcoin bonus on Wednesday, Thursday, and Friday. Redeem the coupon code BITCOIN300 to claim your bonus cash. Good Luck! Valid Wednesday, Thursday, Friday. $25 minimum deposit. 40x wagering. No Maximum cashout! Valid Friday to Sunday. $35 minimum deposit. 30x wagering. No Maximum cashout! Ongoing Loyalty Bonus Offer. Valid for new & existing players. Free Spins Game: Varies. $25 minimum deposit. 30x wagering. No Maximum cashout! Available Once a Week from Monday to Friday. Gamble Online with Bitcoin at Uptown Aces Casino! 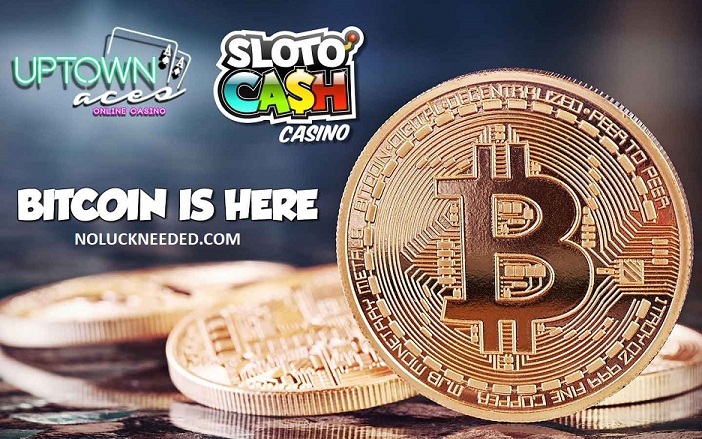 Litecoin and Bitcoin Cash are also available for deposits at Uptown Aces & SlotoCash. Happy Wednesday everyone! The 300% bonus is available Wednesday through Friday at Uptown.